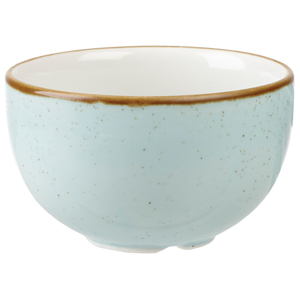 With a super vitrified china body, the Churchill Stonecast Duck Egg Sugar Bowl has an elite quality. The 5 year edge chip warranty offers protection against everyday use. A hand painted, scratch resistant glaze offers a more unique way to serve tableware essentials such as sugar, sauce, dips or appetisers. Unlike most sugar pots, this one is versatile enough to also serve condiments, sides or nibbles. "This is a good fine quality of beautiful sugar box. I also satisfied with it."